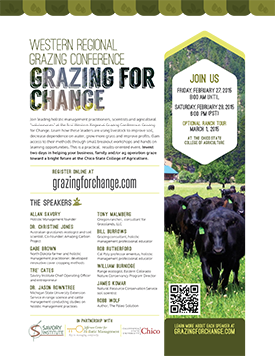 Join us for the first Western Regional Grazing Conference: Grazing for Change on February 27 and 28, 2015 at the Chico State College of Agriculture. Meet leading holistic management practitioners, scientists and agricultural “solutionaries” and learn how these leaders are using livestock to improve soil, decrease dependence on water, grow more grass and improve profits. Gain access to their methods through small breakout workshops and hands on learning opportunities. This is a practical, results-oriented event. Invest two days in helping your business, family and/or ag operation graze toward a bright future. Dig into the principles and practices of holistic management in hands-on workshops taught by accredited holistic management educators. Spend an extra day with us on the land on a ranch tour led by Chico State professors and innovative holistic management practitioners. Learn more about the conference speakers. 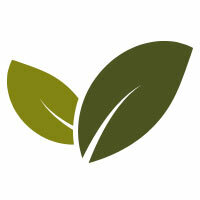 Want to help bring holistic management to our region by sponsoring this event? 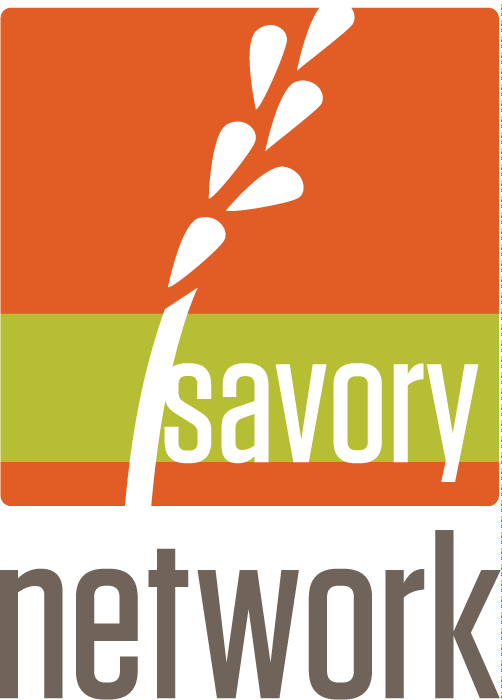 Learn more about being an event sponsor. 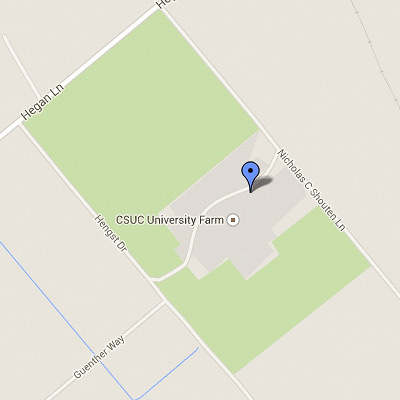 This optional Ranch Tour will take place on the third day, and is limited to 40 attendees.